Let's face it. Smoothies have become big business. When you have national chains like Robeks and Jamba Juice all over the place, you know there's a market for them. Even McDonald's has gotten in on the action! The question is are they really healthy. And that's the problem, Ma. I know people who get a big one everyday on the way to work. Yes! I'm the one who told you to start checking the facts on those smoothies. I admit it. I was duped just like the rest of the country. I looked at the calorie and fat content only. So on the surface, those smoothies seem like a healthy meal replacement. But I drank a smoothie everyday after work and I gained 10 pounds that year. Because they may be low in calories and fat, but the sugar content is through the roof. 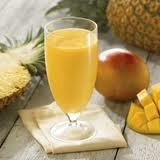 So as is customary, we started making our own smoothies with real fruit, low sugar and perfect to start the day with. We've been making the morning smoothie for over a year. After the recipes we detail how to keep them healthy and cheap. Your family and your bowels will thank you. 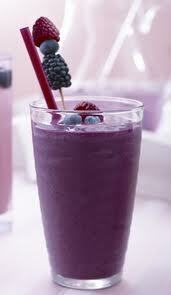 Place carafe on blender and puree 2 – 3 minutes or until the texture is pudding like. Place the dry oats in the blender's carafe pour in the liquid then add the fruit. Place the top on carafe and refrigerate overnight. 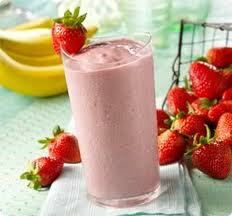 The following morning, place carafe on blender and puree 2 – 3 minutes or until the texture is pudding like. Try having your smoothie as a breakfast drink because that’s a meal most often skipped and it really is the most important meal of the day. Fruits naturally contain so much sugar, it’s best to consume them during the morning hours. My smoothies are meant to be filling and a nutritionally sound meal, perfect for families on the go. They are economical, quick, easy and simple to make. Just dump everything in the blender at night and give the blender a whiz in the morning for a perfect breakfast the whole family can enjoy year round. SAVE MONEY . . buy frozen fruit from your bulk warehouses like Sam’s Club, Costco, or BJ’s, etc., because once you start these smoothies they will become your breakfast of choice for years to come. If you want a sweeter smoothie, squeeze some Valencia oranges and use the juice for your liquid. Experiment with different combinations of fruits, seeds [chia, flax],soy [milk,tofu], and dairy products the possibilities are endless. 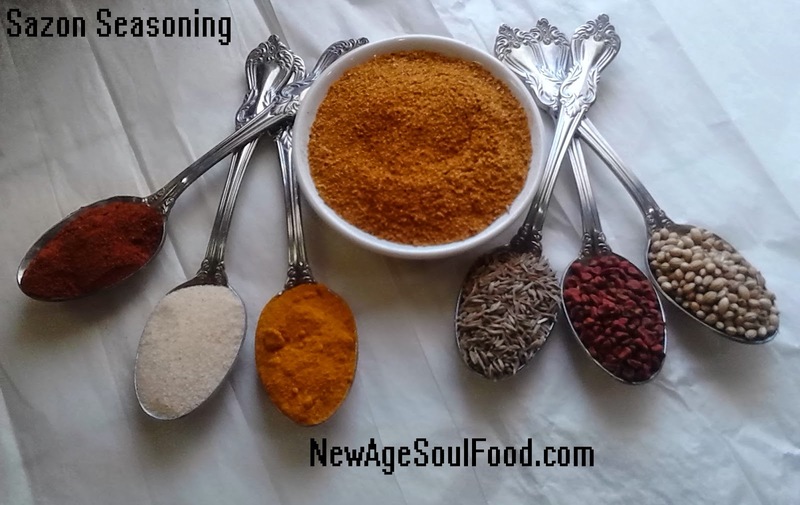 Feel free to add your other supplements like flax seed oil. Last but not least, watch the caloric, sugar and fat contents which can be easily controlled by minimizing the use of processed foods [and yes oats, soy, yogurt and milk are all processed foods]. There's a very ugly rumor going on out there and I'm determined to stop it. Mom thinks the saying should be, "Beans Beans good for your heart, the more you eat, the LESS you fart." People are so afraid of beans because of the gas issue, but the real secret is to eat more. There's a complex sugar in beans that our system can't digest, so it retaliates with gas. However, the more you eat beans, the more the body adjusts and the less gas you have. I hate to say it, but its true. What apparently isn't true is that beans are good for your heart. As a vegetarian, I eat beans daily. I've done tons of research and none of it suggest that they are "good for the heart." But they are good for a whole bunch of other stuff. Protein is the most obvious. Let's not forget to mention that they are inexpensive, filling and can be used in a host of dishes. Did I mention, I don't like most beans? But I do like black beans which I know to be loaded with fiber, low in fat, and a good source of assorted vitamins and minerals. Apparently black beans must be a lot of people's favorite because it's one of the #1 selling beans in the USA. Well mom since that is the case, show us the power of black beans with some of your fabulous recipes. Transfer beans to a large pot and add the cold water. Place pot on medium heat and simmer uncovered. Add the bay Leaves and all the dry spices and herbs and stir thoroughly. Meanwhile, in a medium sauce pan, heat the oil and sauté the peppers, onion and garlic until onions are translucent. Add the sautéed vegetables to the pot of beans and continue cooking, uncovered, stirring occasionally. Check the liquid level and make sure it’s covering the beans by at least 1 inch. If liquid is evaporating too rapidly, reduce the heat even further and add water ½ - 1 cup at a time. After a total cooking time of 2 hours, test the beans for doneness. If the beans are not done, continue cooking, stirring occasionally until beans are done. 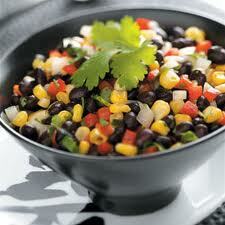 When black beans are fresh, they do not take any longer than 2 - 2½ hours to be fully cooked. 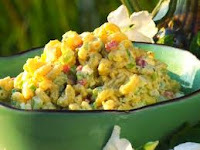 Place garlic, jalapeno, bell pepper and onion in a food processor and pulse for 3 pulses, scrape down the sides of the bowl then pulse another 3 times. Carefully drain off the juice that has accumulated (the excess juice will make patties too moist). Reposition bowl back on the food processor then add half the black beans, all the dry seasonings, cilantro, vegan mayo and bread crumbs. Pulse in food processor until mixture takes on the consistency of a thick coarse puree. Transfer mixture to a bowl, stir in the remaining beans and mix thoroughly. Separate mixture into 6 equal parts. Roll each part into balls then form them into patties. Place patties on a sheet pan and refrigerate at least 1 hour to let patties set before cooking. Heat a skillet and oil over medium high heat until it shimmers. Add patties and cook until browned, approximately 3 minutes. Turn patties and cook on the other side another 3 minutes. 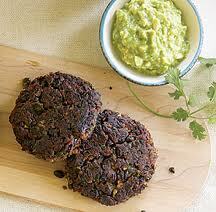 Remove patties from pan and serve with all the fixings just as you would a hamburger or any other patty. While beans are cooking; in a separate pan, heat the grapeseed oil and saute the peppers, onion, minced garlic and chipotle pepper 3 – 5 minutes. After 1½ hours of cooking time has elapsed, add the sautéed vegetables and mix well. Keep beans covered by at least 1 inch of liquid at all times; cook an additional hour or until beans are tender. Pulse in food processor until mixture takes on the consistency of a thick coarse puree. Transfer mixture to a bowl, stir in the remaining beans and mix thoroughly. Well it's that time of year again when mom goes pasta crazy! 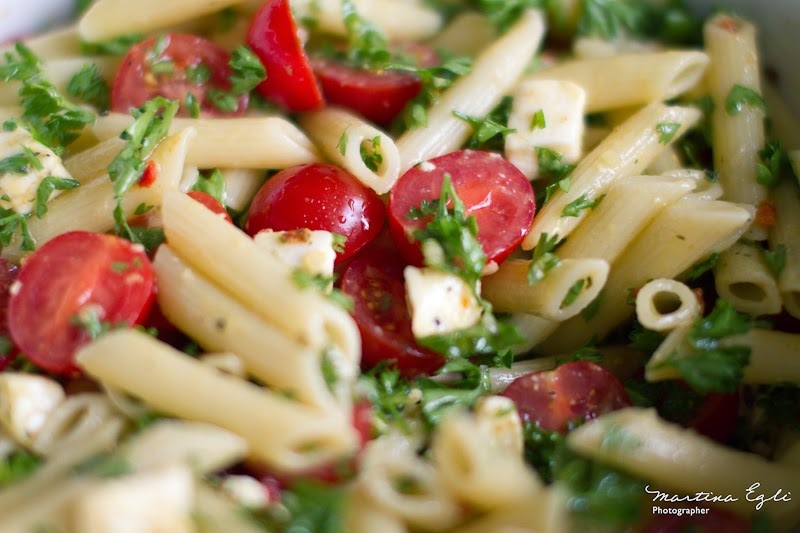 Shoot, pasta salads are one of my summertime favorites. They're easy to make and it's a meal all by itself. Spoken like a true vegetarian. Mac & Cheese and Lasagna are the extent of my love for pasta. For health reasons, those dishes should be saved for special occasions and for fighting the blues now and then during those long cold winter nights. I heard that! You know, with all of this low-carb, no-carb nonsense most people are literally afraid of pasta. But there are lots of ways to get around your fear of carbs. You just have to be willing to try different pastas. Today pasta is made from grains like brow rice, corn, quinoa and kamut. Some of the Asian soba noodles are made from yams. All of these are carbs but a much healthier version and they're high in fiber. The greater issue is that carbs aren't bad. We need them for energy. The problem is we've become a society that likes a few pieces of bread with dinner along with some potatoes and then go back for seconds. Carbs in moderation are good for you and will keep you from snapping someone's head off when you're dieting. I presume you're talking about me. Huh, why would you say that? Here are a few simple recipes for you to enjoy. Was I really THAT bad when I was carb free? Feel free to add chicken, fish or shrimp. And enjoy your carbs! Note: To make what I consider perfect pasta (al dente) I don't boil it as directed. Instead, I bring the pasta to a rapid boil cover it and immediately remove it from the heat. I then let it sit untouched until the cooking time as stated on the package is complete. 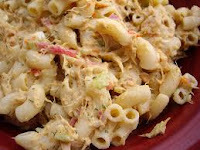 Note: We are going to add layers of flavor to this salad by adding 1 or more ingredient and then mixing thoroughly before adding the next ingredient. Drain pasta in a colander then transfer to a large bowl. While pasta is still hot, stir in the salt, pepper and paprika, mix thoroughly. Add olive oil mix until pasta is coated with oil then refrigerate until pasta is cool. Once cool add drained tuna and mix again. Add peppers and onions and mix. Add the mayo and mix. Once pasta is cool add all remaining ingredients and mix thoroughly.